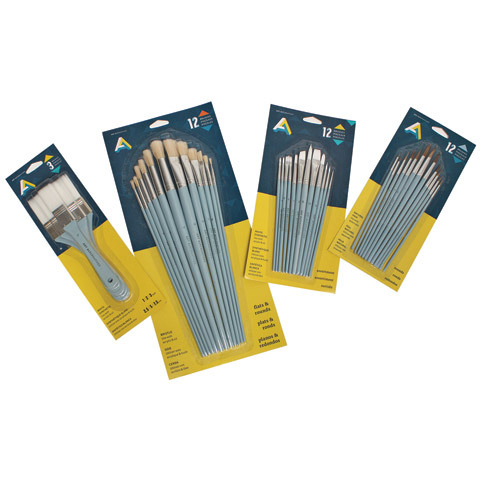 Ideal for beginners, students and value-conscious artists, these economical sets are perfect for projects of all kinds: acrylic, oil, watercolor or tempera painting. They feature painted-wood handles and are available in natural hair and bristle as well as white synthetic fibers in useful combinations of shapes and sizes. Each set contains an assortment of twelve brushes.